Important Note: This kit is intended for using the Slipper center gear. Will NOT work with gear diff installed. You will need a complete B64 4wd off-road kit. First we start off with your donor car. 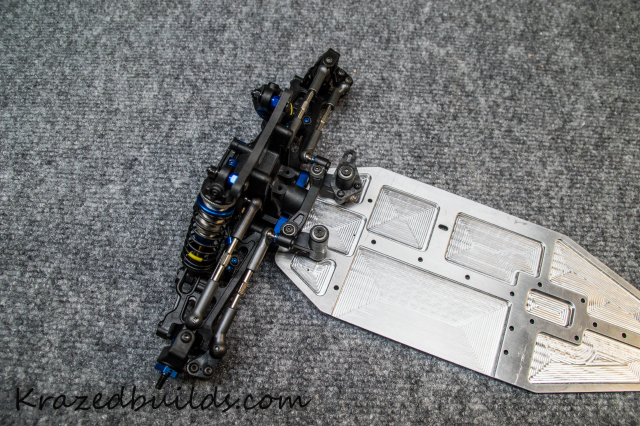 From it you will need the Front, Center and Rear assemblies. 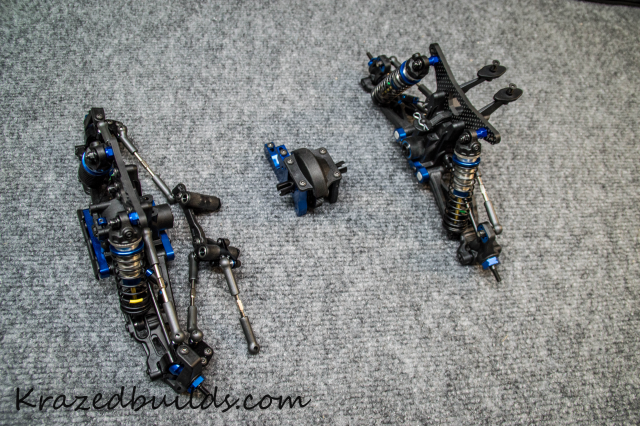 Important: You will need to flip your front and rear diffs around to change rotation for this kit. Lets start by changing the steering. You will need to swap sides with the swivel posts. Changed over with with new included bellcrank. 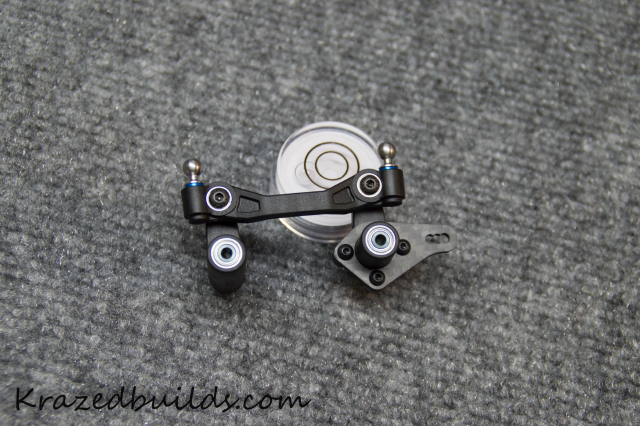 Our bellcrank has 3 holes for steering response adjustment. 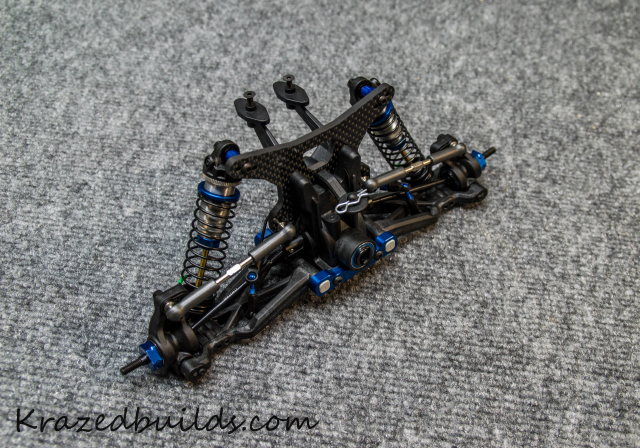 16/18/20mm locations helping to tune for traction conditions and steering feel. 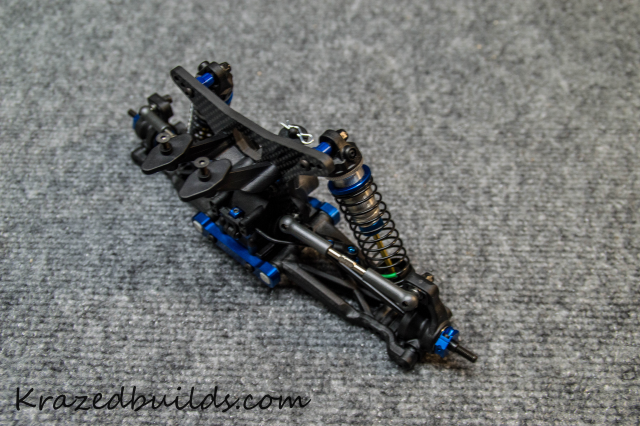 Attach steering rack to new chassis with original screws. Next bolt the front assembly in place again with all original hardware. Next install both lower spines and servo mounts with included hardware. This next step you may or may not want to do, its purely driver and setup preference. 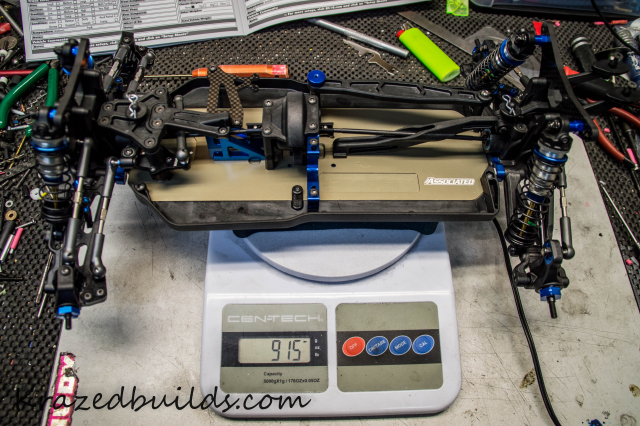 We found moving the rear shocks behind the tower to level the car out a bit in the air and softer through rough sections. This is a good setup for low bite tracks like the old grey Ozite style carpet. 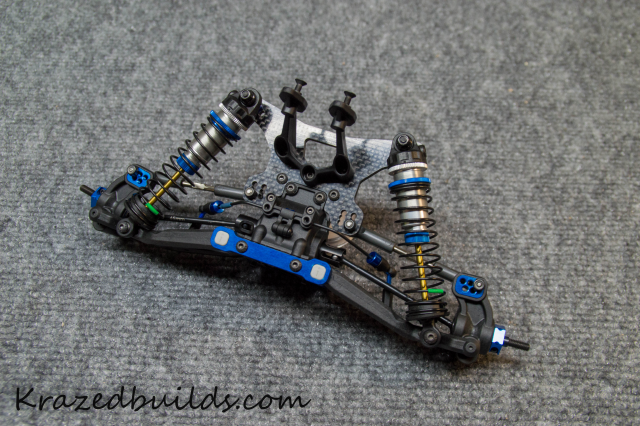 We have found on higher bite tracks the car likes the shocks forward like the stock kit. We would recommend leaving them that way to start. 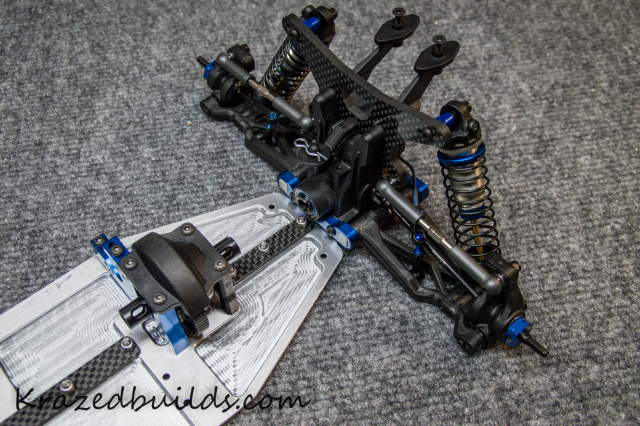 Simply swap rear axle carriers to opposite sides, reverse shock mounts and upper link ball studs. Install rear short prop shaft (not shown) and install rear assembly using original hardware. 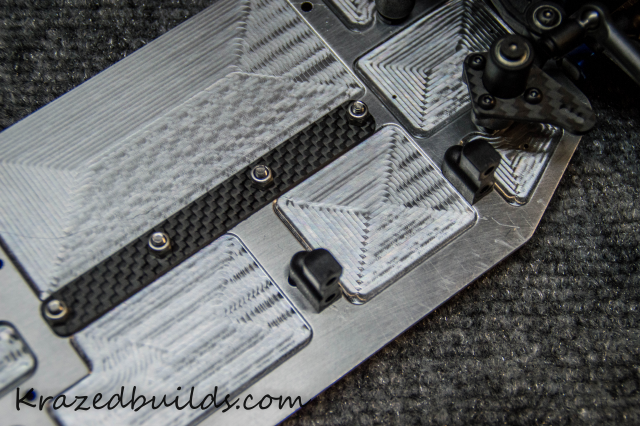 Next we install the rear carbon fiber upper deck using the Two included angled printed spacers. The gear housings have a 10* angle in the location we use so we need to adapt that into the screws. Both printed spacers have the needed 10* angle to them.
. The first one will go on the gear case with angled side down. This will make the surface flat for the carbon fiber deck. Take the second spacer and install included 10mm screws on the side that is flat. When viewing this piece you should see a flat top and the bottom should be angled down to your left. 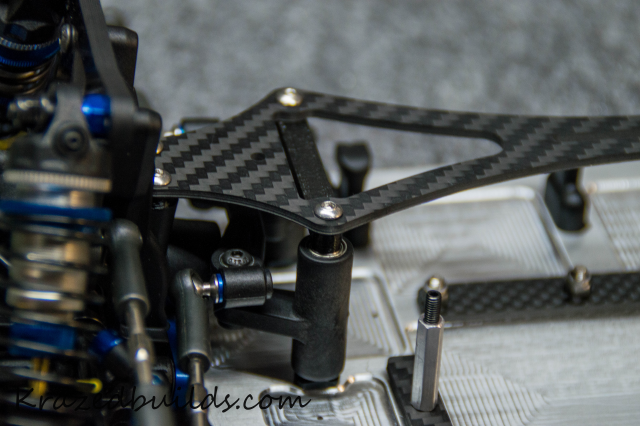 Place this spacer on top of the carbon fiber and attach them all to the gear case. If you did this correctly then the carbon fiber will be flat across to the center. If wrong then it will be angled up away from the center. 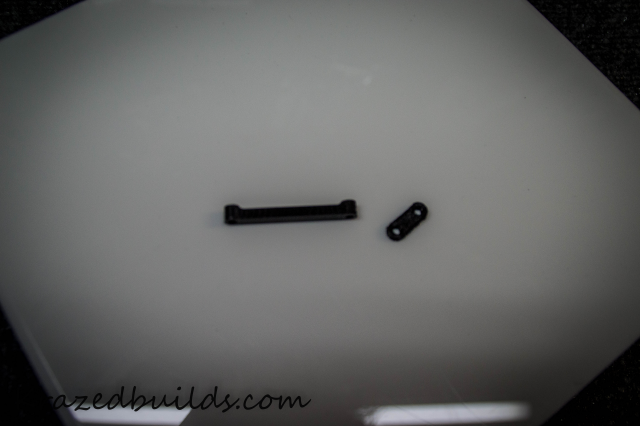 Simply remove the two rear screws and fix spacers. 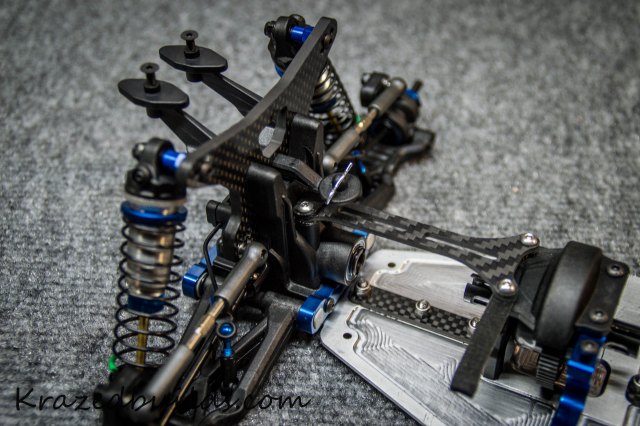 Once the rear is correct then slide the long printed spacer between the carbon fiber and the center diff cap. This piece is long and includes a mount location for a 30mm fan. If you choose not to use it to mount your fan then simply dremel the extra piece off or leave it. Tighten the supplied 10mm screws down securing it all together. If you mount your fan to the spacer you will need to tap 4-40 threads for the fan screws. Front upper deck is similar. 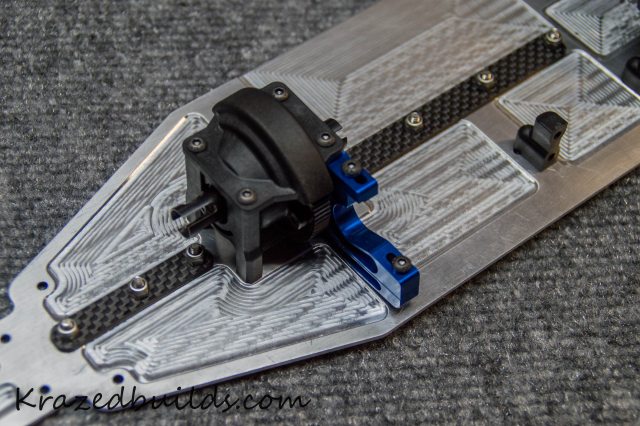 Place the supplied printed spacer on top of the front gear box and attach the front carbon fiber deck to the gear case with the supplied 10mm screws. Leave them loose for now. 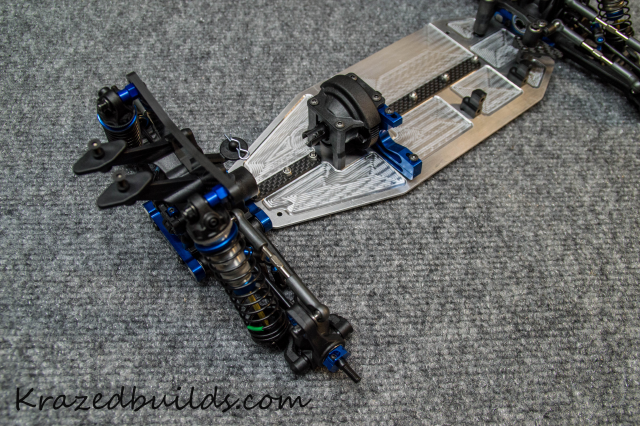 Next install the supplied 10mm screws through the rear of the deck and into the motor mount part of the center diff. Again leave these two loose for now. 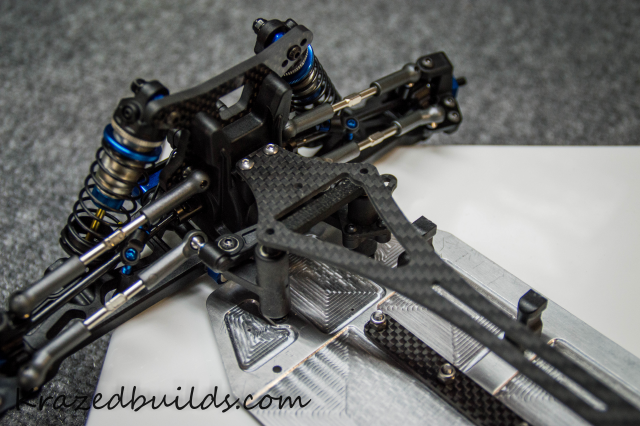 The supplied printed steering spacer/brace is printed to allow for clearance, you want the flat side up and the extended sides down. Slide it in between the upper deck and the steering posts. Secure down with included 12mm screws. Finally tighten down the four screws left loose. Once done be sure to check steering for free movement left and right. Due to 3D filament printing some squishing can occur and could cause the steering to feel tight. Simply back the screws off a little to free it up if this happens. Installing battery holders using the 3 supplied 10mm countersunk screws. 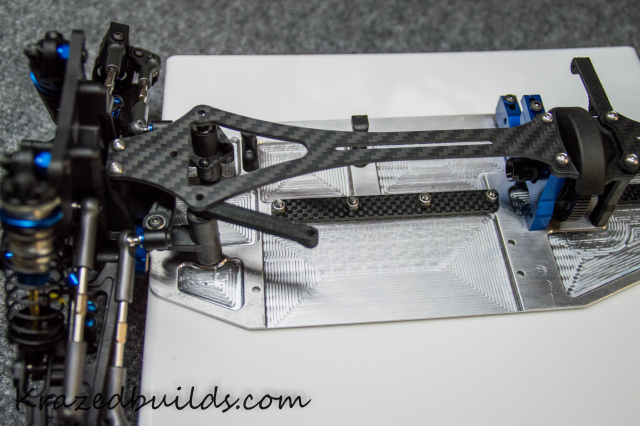 Place screw through chassis and slide included 2mm spacer between chassis and carbon fiber angle pieces. Secure down with included aluminum posts, do this for all three posts. 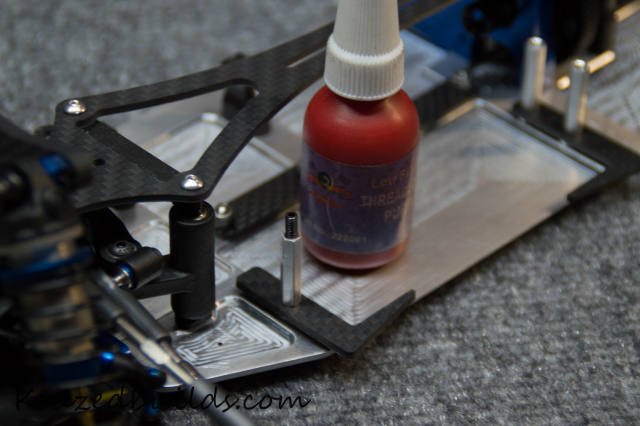 Using the original 3mm long grub screw from the stock battery post and thread it into the forward most post. We reccomend using a good threadlock (not red) and thread it leaving roughly .25” remaining out. Next secure the included printed spacer and hardware into the rearward two posts. 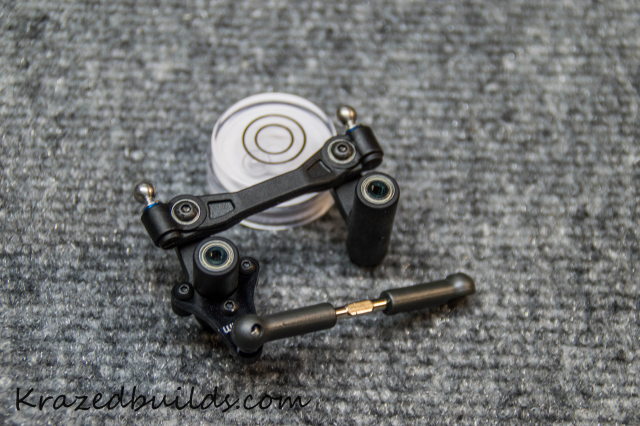 You will use the original thumbscrew to secure the carbon fiber hold down plate in place. 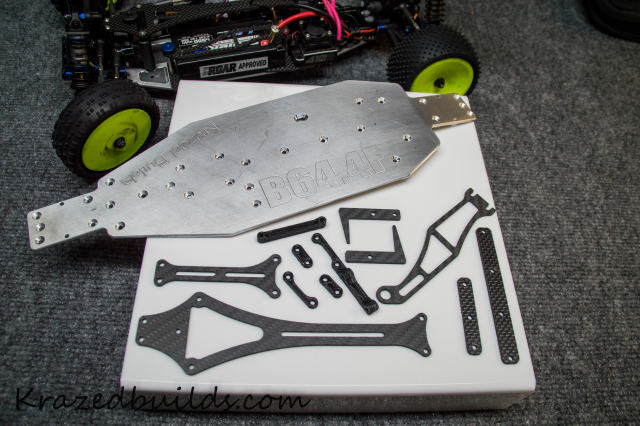 Congratulations – You have just completed the Krazed Builds B64.4F conversion kit. Install your original electronics and have fun. 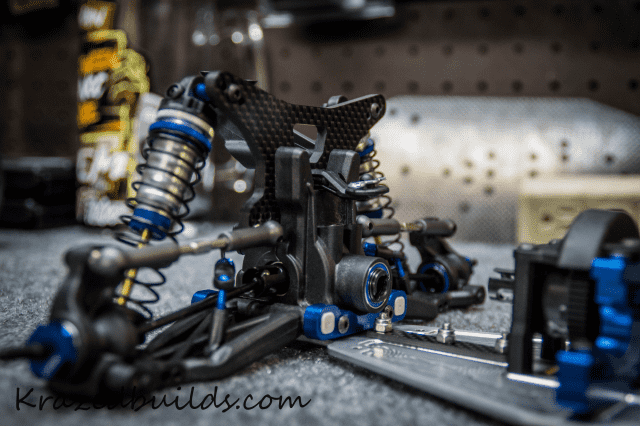 Being that this is an aftermarket kit we cant guarantee all bodies will fit but we will give our insight to what we have used and done. The stock body will work but you will need to use velcro on the front of the body inside and on the upper deck or trim the original clip mount. You will also have to trim some off on the right side to clear the bellcrank for turning right. 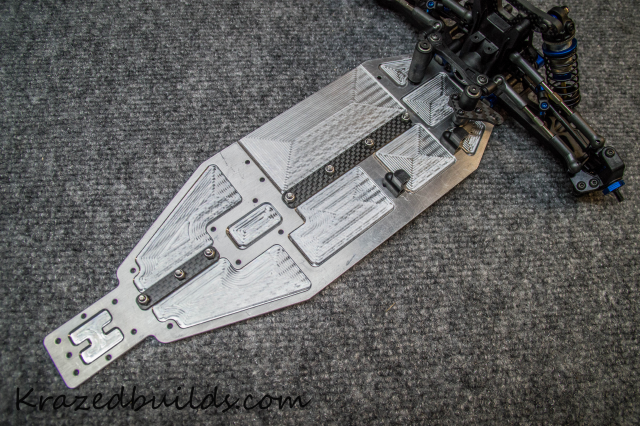 The 2018 XB4 body will fit using the molded rear body mount hole and again velcro for the front on top of the upper deck. Dont trim the body on its molded trim lines, it will be too short. When cutting out simply cut the along the flat part of the lexan and leave the over hang for later trimming. 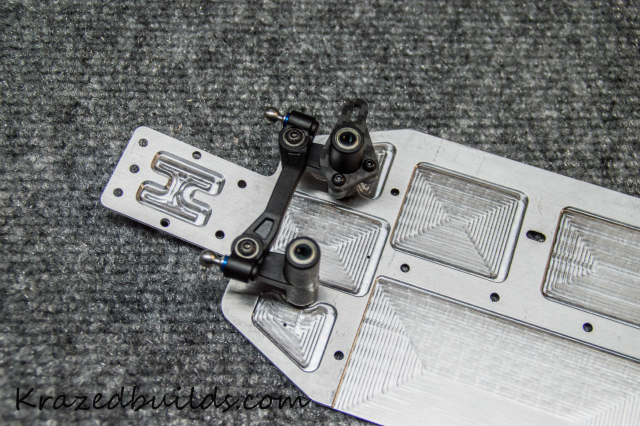 you will also need to trim a little around the rear body mount hole. 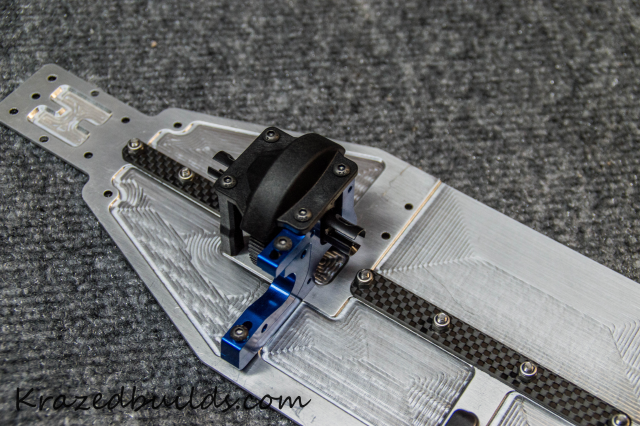 The stock B64 mount dips down and rubs on the lexan. You can trim the front open on the mold lines but have to cut the right side down a little more to clear the bellcrank. 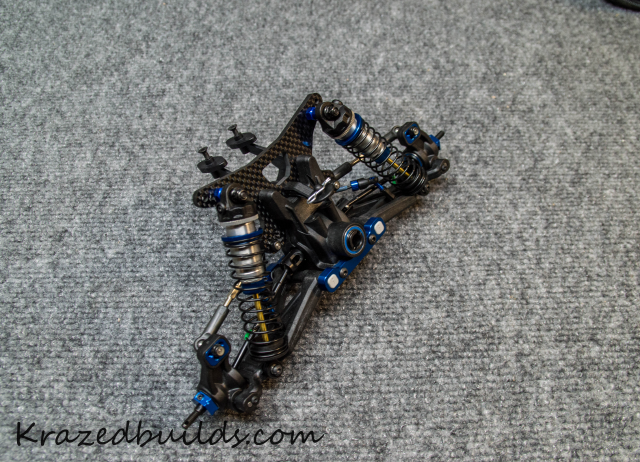 Proline’s Elite EB410 body. Trim body at the outer flashing where its pulled flat, do not cut on the body trim lines yet. Cut out front and rear of the body to clear the car and mount it. Once mounted you can decide on your trim line for the bottom edge. 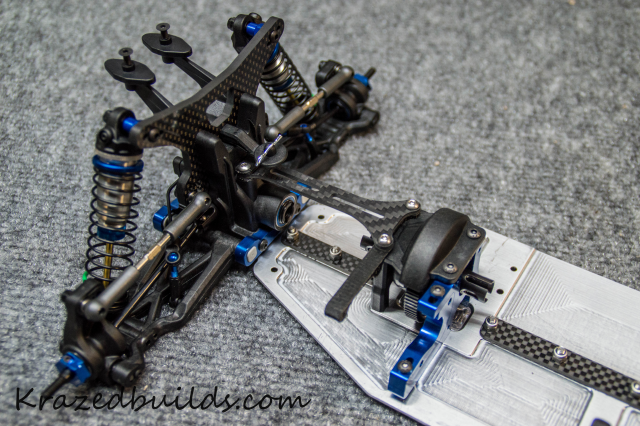 This will help keep the body covering all the internals to the bottom of the chassis. More to come as we test fit other bodies. Be on the look out for our write ups on things we do and try, tuning tips and things we try.